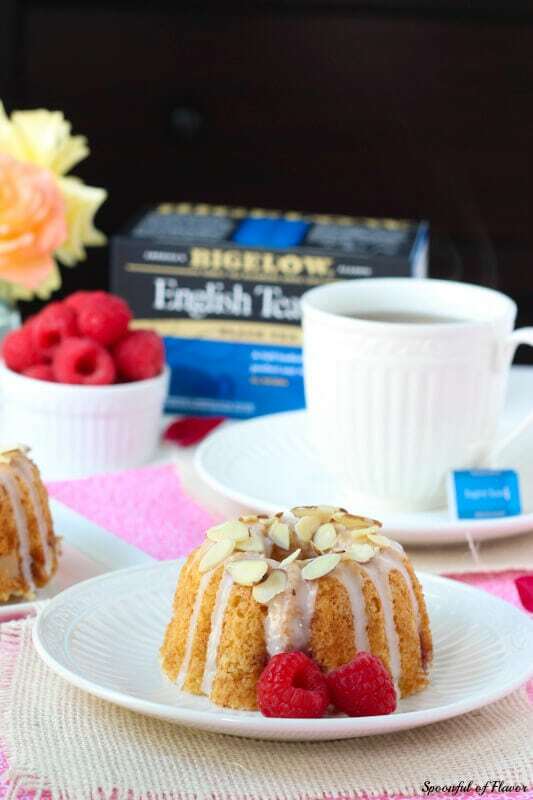 Raspberry Almond Coffee Cakes are the perfect little sweet treat to serve along side tea! Grab your friends, make a batch of these coffee cakes and enjoy! 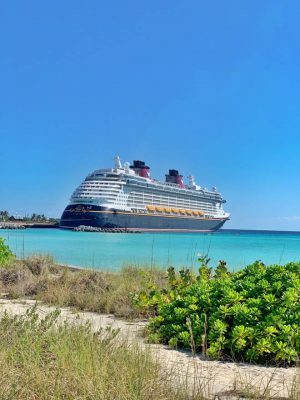 Spring is full of fresh flowers, bright sunshine and so many fun events. With bridal showers, baby showers, and holidays, there is always a reason to host a tea party. Today, I am bringing you a recipe for mini bundt cakes that is perfect for serving with a cup of tea. It’s easy and inexpensive to host a tea party. For my most recent afternoon tea, I picked flowers from my rose garden and the pastries and desserts come together in little time. 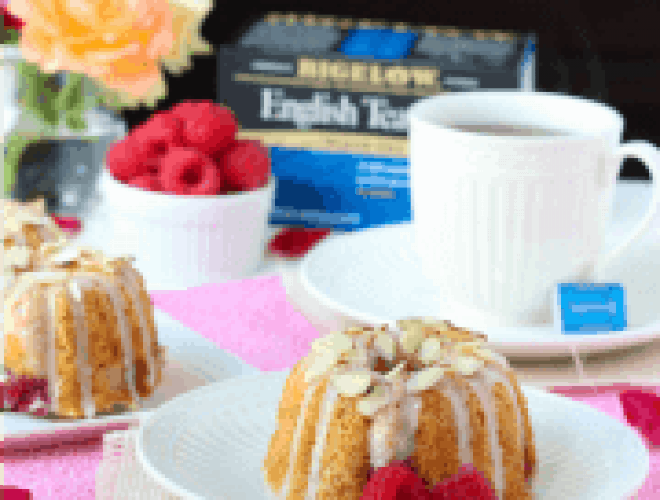 I just grabbed a few boxes of my favorite Bigelow Tea from Target and made a batch of these Raspberry Almond Coffee Cakes. 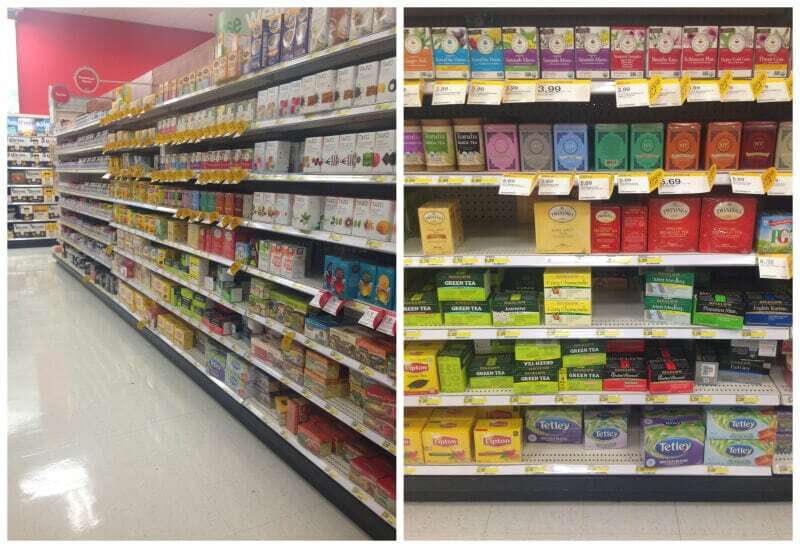 Bigelow Tea is inexpensive, easy to find and available in a variety of flavors. 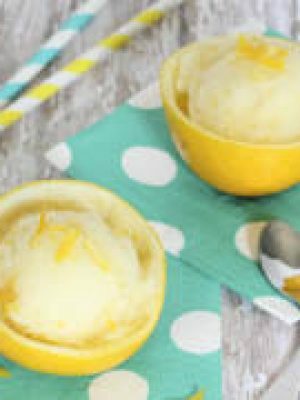 I like the classic all-natural flavors like English Teatime, Green Tea and Lemon Ginger. I also love that there are organic varieties available. 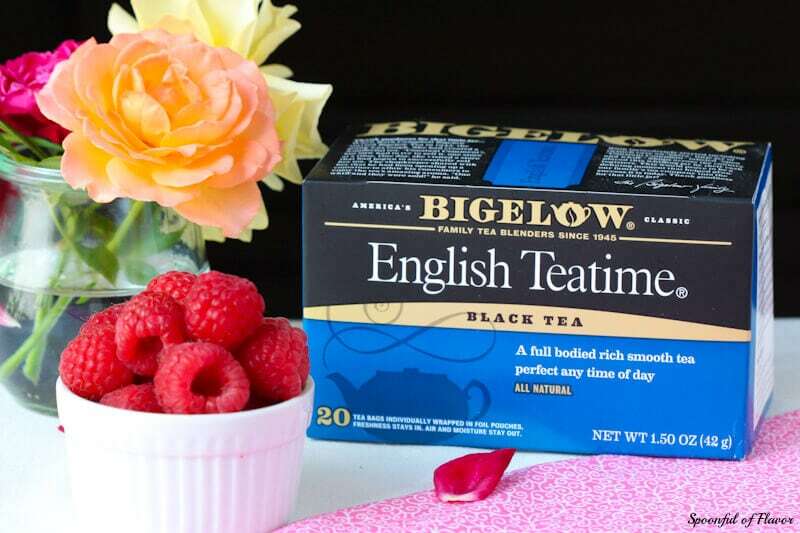 Bigelow Tea offers high quality tea that everyone will love. 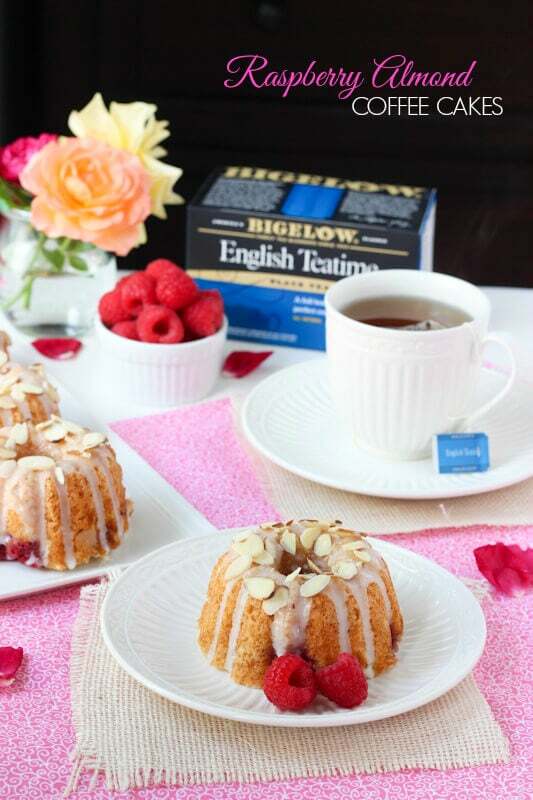 Where there is tea, there is also delicious treats, such as these Raspberry Almond Coffee Cakes. 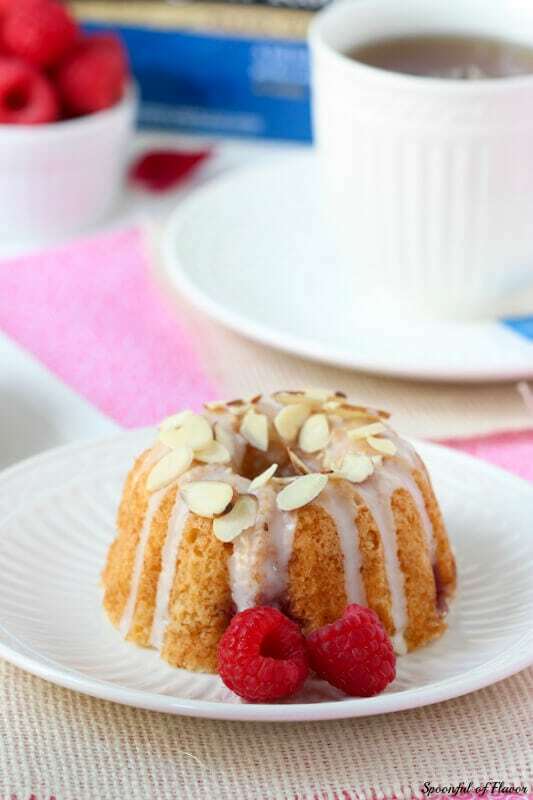 I love these little coffee cakes because they are a single serving size and full of fresh raspberries, brown-sugar streusel, vanilla glaze and almond topping. 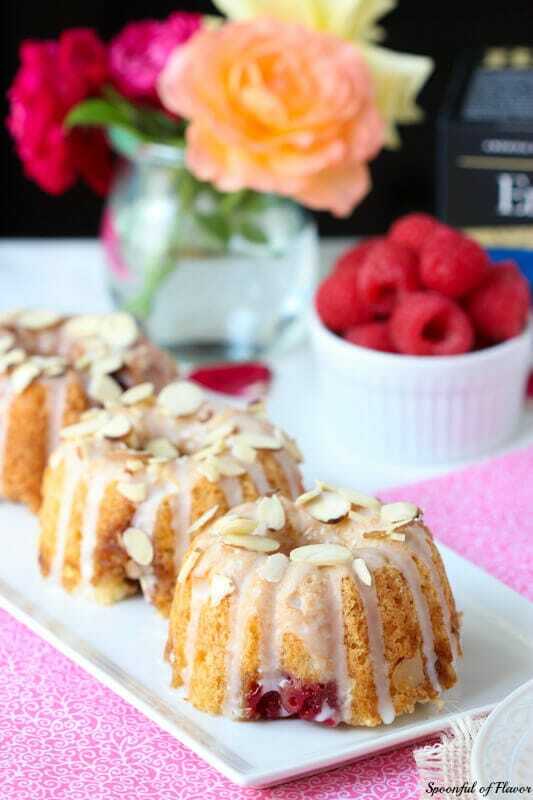 Raspberry Almond Coffee Cakes are the perfect sweet treat for breakfast or to serve along side your afternoon tea. 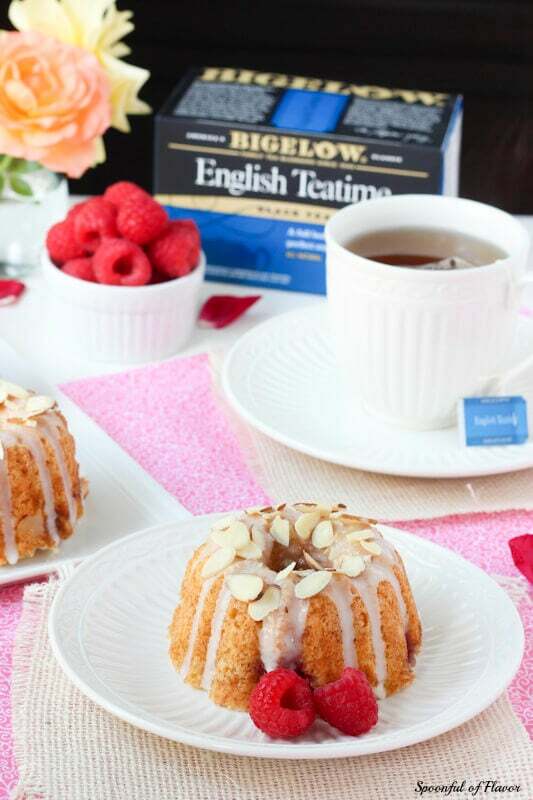 The flavor and texture of these cakes is a perfect compliment to tea. 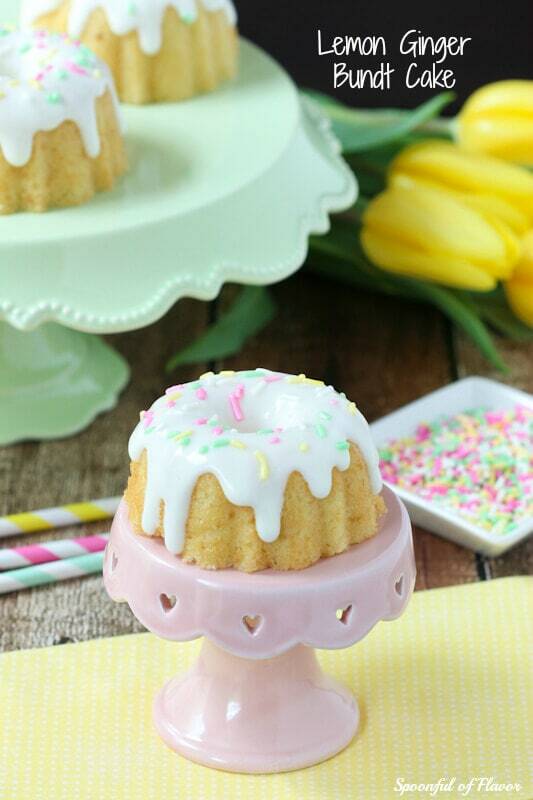 Grab your friends, make a batch of these sweet little cakes and enjoy! Preheat the oven to 350 degrees F. Butter and flour a six 1-cup nonstick mini bundt pan. 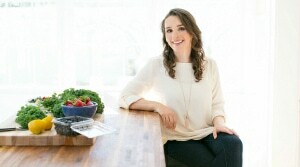 In a medium bowl, combine chopped almonds, brown sugar, cinnamon, and nutmeg; set aside. In another medium bowl, stir together flour, baking powder, baking soda and salt; set aside. In the bowl of an electric mixer fitted with the paddle attachment, cream together butter and sugar on medium speed until light and fluffy, about 3 minutes. 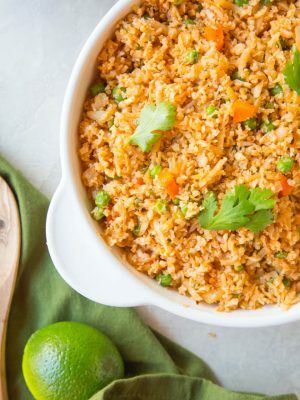 Add egg; beat until combined. Add one teaspoon vanilla; beat until smooth. Turn mixer speed to low. Add one third of flour mixture, then half of sour cream. Repeat, ending with flour mixture. Fill each bundt pan with 3 tablespoons batter, spreading evenly with an offset spatula. Sprinkle raspberries over batter, pressing lightly to set berries. Sprinkle evenly with brown-sugar streusel. Divide remaining batter among pans. Bake until a toothpick inserted into the middle comes out clean, about 20 to 25 minutes. Transfer pan to a wire rack to cool 10 minutes. 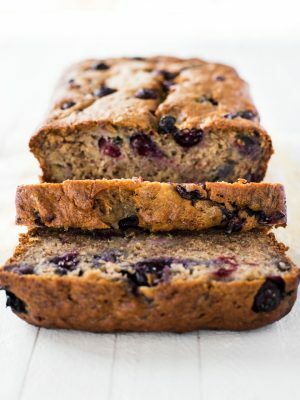 Turn cakes onto rack to cool completely. 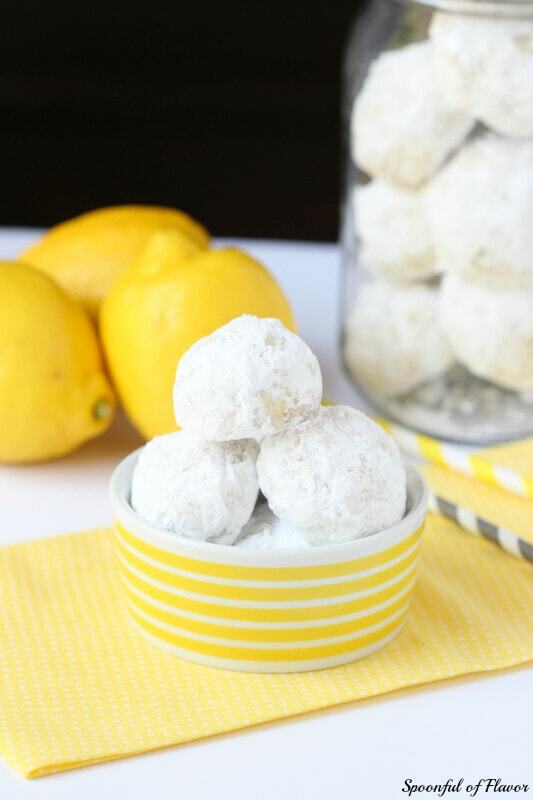 Whisk confectioners sugar, 3 tablespoons milk, and vanilla until smooth. Add more milk 1 teaspoon at a time, if needed. 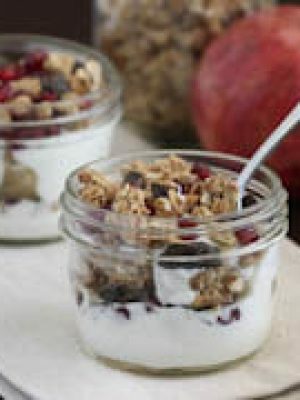 Drizzle over cakes, garnish with sliced almonds and let stand for 30 minutes. 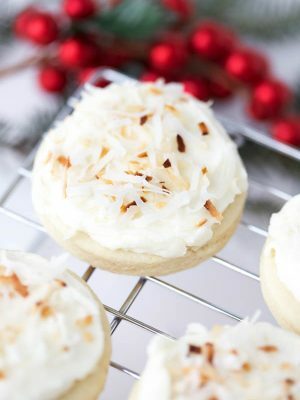 Looking for more tea party treats? 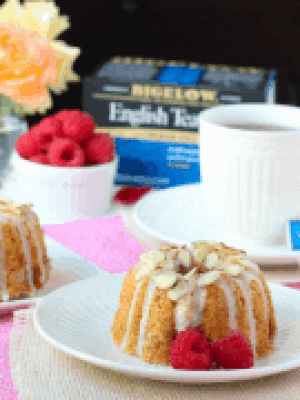 For more information on Bigelow Tea, follow them on Facebook and Twitter. 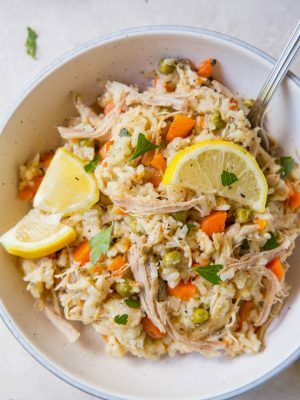 Disclosure: This is a sponsored post for a product that I love and use on a regular basis. All opinions are my own. Ashley, these coffee cakes are beautiful!! 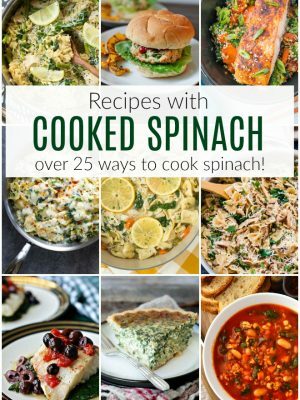 Coffee cake is one of my very favorite breakfasts - I need to try your recipe! Pinned! These cakes look super delicious and cute! And the drizzle icing is a lovely touch! I really need to get myself a mini bundt pan because I am always swooning over the mini bundt coffee/tea cakes that you post. These are so pretty. 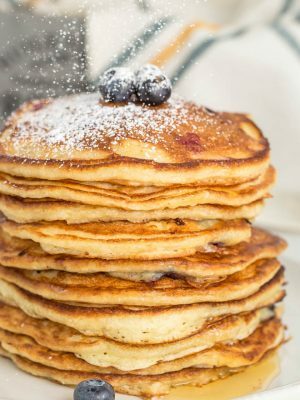 Raspberry/almond is one of my favorite flavors, so I'm sure I would love these! Looovely mini cakes! 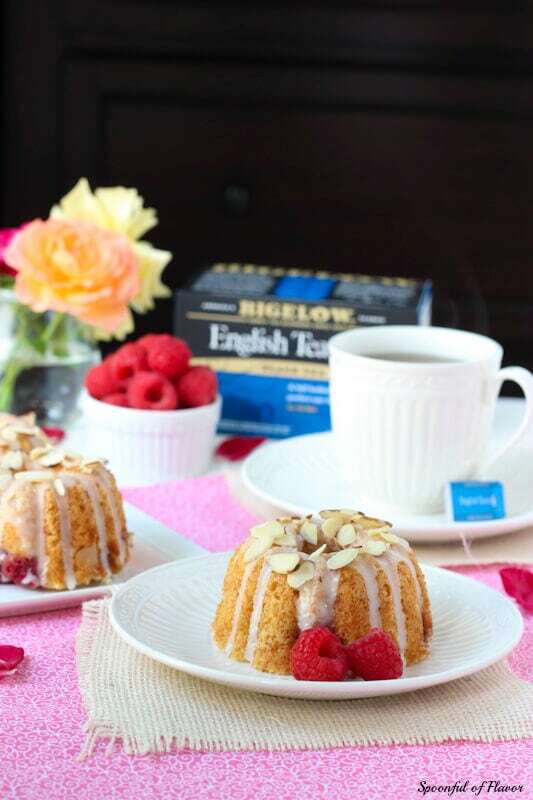 Ah...that raspberry/almond combo - delicious!ela h.
Ooo, the cakes look delicious - and quite perfect to have alongside a cup of good tea! I am almost dying of cuteness overload. These tiny coffee cakes not only look almost too adorable to eat, but they have me hoping one would magically appear in front of me RIGHT NOW. I bet they taste ah-mazing!! These cakes look so cute and delicious!